This piece of rustic solid cedar rustic log furniture can accommodate the largest of today's flat screen TV sets. The two doors open to a space with one shelf for storage of DVDs or other media or electronics. Wild American Cedar is a premier manufacturer and distributor of indoor and outdoor rustic log furniture. They have one of the largest collections of northern white cedar products available. We have rustic pieces for every area of your home. From log beds and dressers to swings and rockers - we've got everything for your log cabin, lodge, or resort. Wild American Cedar rustic log furniture is both beautiful and durable, constructed entirely of Northern White Cedar. Wild American Cedar offers a variety of dressers to complement any bedroom. With a choice of styles and sizes there’s a dresser to fit any room.  - Cedar has natural preservatives that make it resistant to decay, rot, and insects. This will reduce cost and need for chemical treatment to protect the wood. - Cedar displays minimal cracking or "checking", which almost never penetrate the heartwood. It also adjusts well to all climate conditions. - Cedar is naturally low in moisture - it can be air dried to 14-16% moisture level. - Cedar is the lightest of any commercial wood in the US.